A day to go and working like crazy!!! 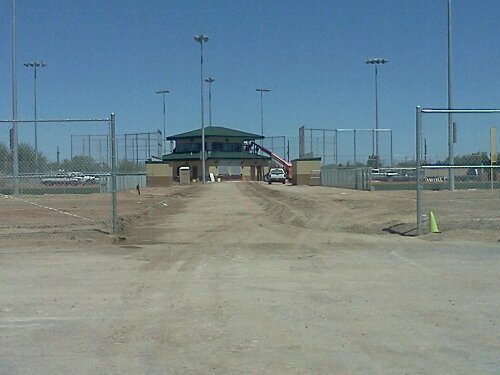 Opening ceremonies are this Saturday and the city crew is still working on the softball field with only a day to go. Looks like they’re concentrating on the concession stand in the electrical systems. It also looks like they’re going to try and get a paved walkway in, but I don’t see any bleachers so you may want to bring your lawn chair. This entry was posted in Girls Fast Pitch Softball, Roswell Girls Softball Association and tagged Construction, Opening Day, Roswell Girls Softball Association. Bookmark the permalink.